The majority of roofs today are shingled with asphalt shingles. In fact, roughly 70% of homes have asphalt shingles. Part of their popularity lies in the fact that they are maintenance free and come in a wide array of design and color options. 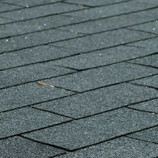 Topping that off, asphalt shingles are reasonably priced and easy to repair. These shingles come in various grades and qualities. Up to 50-year shingles, to 30 year shingles, to 20 year shingles, right down to 15 year shingles. 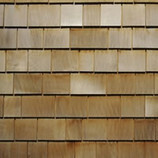 Cedar shingles or shakes offer the unique look of wood. If untreated cedar shakes with weather and fade into a silver gray. Properly installed this roofing material can last up to 35 or 40 years! While cedar shingles are easy to install, they are more expensive than regular asphalt shingles. Repairs are also easy to make with wood shingles. Cedar shingles are a great option for complicated roofs. They are not ideal for zones that are in a high risk area for fires. Some of the metal roofing options for your home include corrugated aluminum, stainless steel and copper roofing. 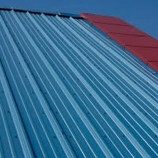 Materials are the most expensive side part of a metal roof installation. Installed, you can expect to pay two or three times the price of an asphalt shingled roof for a metal roof. Repairs and challenging and require a professional contractor. Metal roofs are great maintenance free roofing options. Additionally, there are a variety of design and color options with metal. 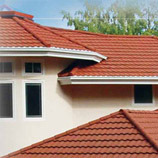 This premium roofing product comes at a premium price. You can expect to pay from $1000 to $1,500 per square, a square being 100 square feet. 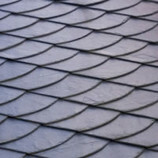 Slate has the highest longevity of the roofing materials, lasting well up to eighty years and beyond. It is difficult and costly to repair. It shouldn’t be walked on, not only because of the danger of falling, but because walking on the slate tiles could damage them. Repairs should be done by a roofing contractor that specializes in slate installation. “Elegant” and “long-lasting” are equally important characteristics when choosing a roof to protect your most prized investment—your home. In fact, a stone coated steel roof may be the last roof you ever need in Colorado. The strength and durability of a stone coated steel roof is combined with the versatile good looks of a tile, shake or shingle exterior to give you the widest possible selection. A Stone Coated Steel Roofing System is durable and will offer richness and beauty to enhance your home’s appearance. Tiles roofs have a charm and appeal all their own. They can be made of clay or concrete and come in a range of shapes and colors. Concrete tiles are roughly half the price of clay. Tiled roofs have a long life expectancy, but they call for extra framing to support their tremendous weight. These roofs are fire resistant and maintenance free. 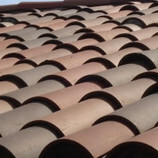 However, clay roof tiles are not suitable for cold climates or for complex roofs. They are used more in warmer, southern climates of the U.S.